Now let's talk about the outfit! In addition to over the knee boots, wrap coats, winter pastels there are another trends I really adore: capes and blanket scarfs. 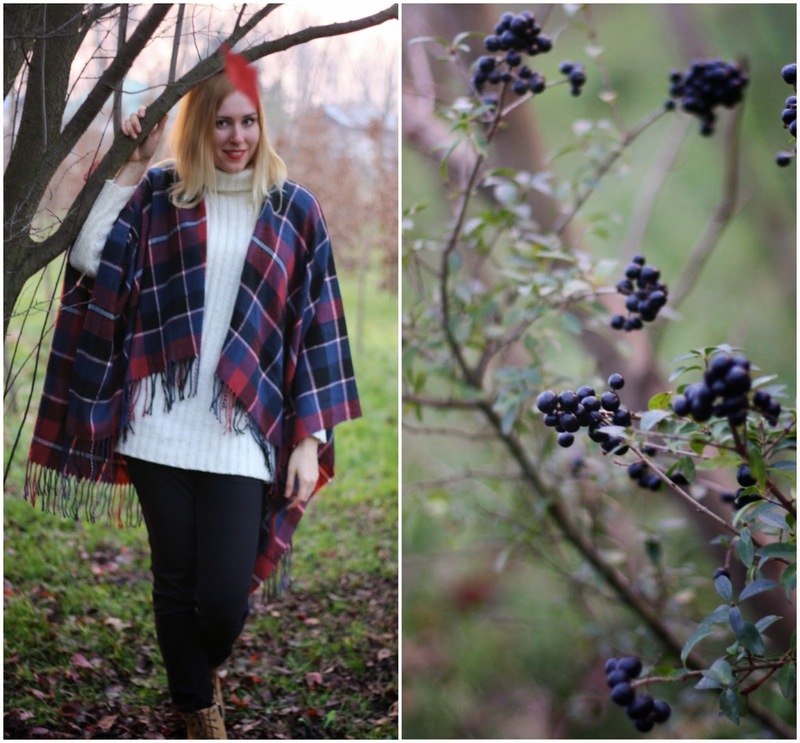 Isn't this check cape the perfect mix of these two trends? I let the cape do all the talking, the rest of my outfit is really simple. It's such a versatile piece anyway, can be worn in many different ways, for example wearing over a coat like here. Amazing cape! Love the color combo! I love the plaid cape, I think it's lovely. Pairing it with the creme sweater really helps the color pop, and the red lip is a great touch. 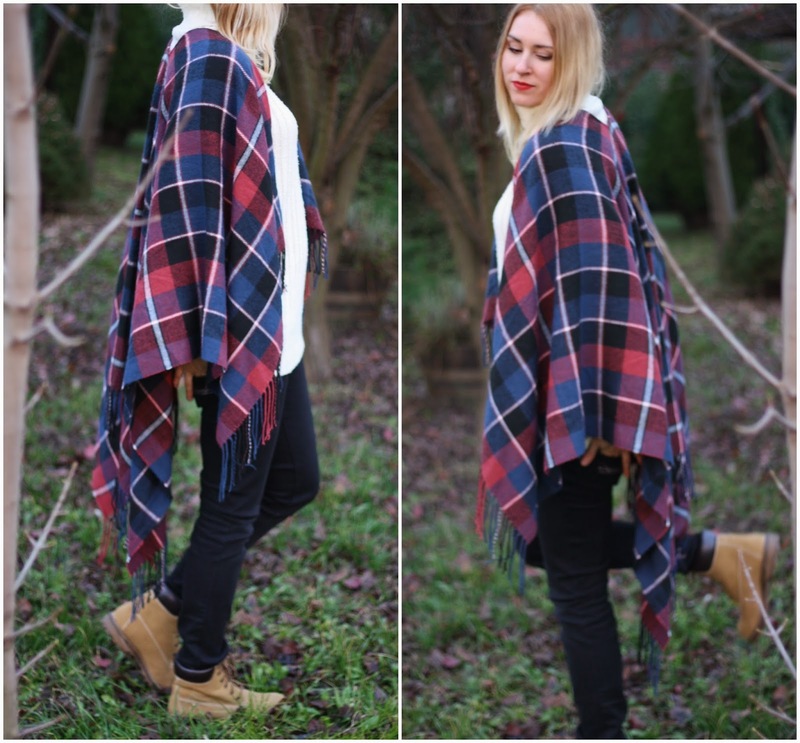 The blanket cape looks so comfy and is so perfect for the cold weather! Wow these photos are gorgeous, I love that cape! So perfect! I love that plaid cape! So fun and looks cozy too! i just bought a pair of similar boots and love them! I'm OBSESSED with your cape, it's the perfect cool weather piece!! Great look!! Such a great blanket cape!! 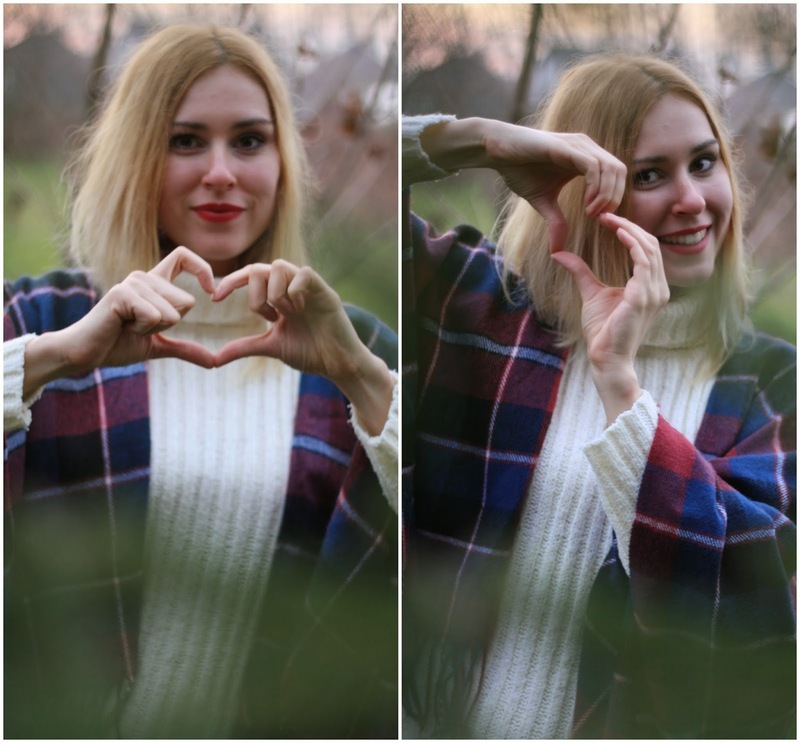 Have a lovely monday! 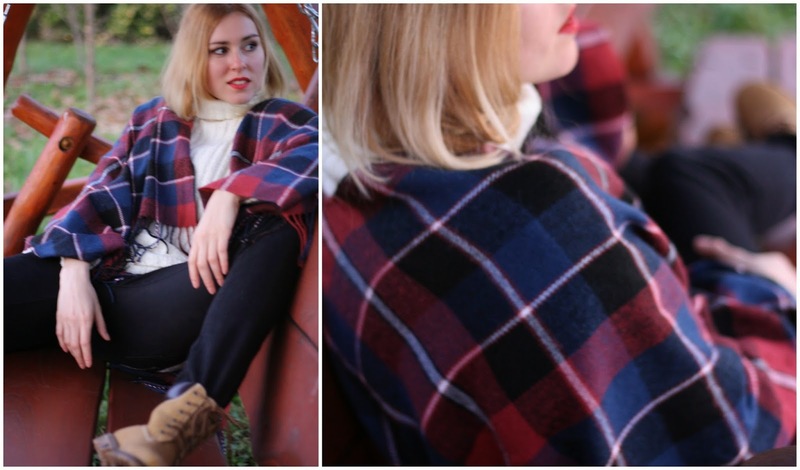 i love the plaid print of this cape! you are absolutely stunning!! and these pics are soo cool! I looooove this outfit! The role neck and cape both look so cosy, they go perfectly together! So nice the cape!! Love the look! Such a stylish and cozy outfit! You look fab!